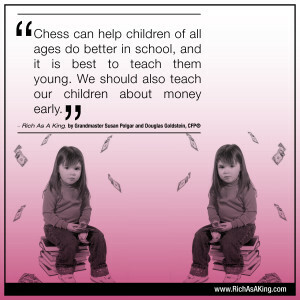 What age is the best age to teach children chess? When should you start teaching about money? My children formally began learning chess at age 5. And they began learning about money as soon as they could hand the cashier in the supermarket a bill. How about you? When did you begin to teach yours?